I’m not ashamed to say that I was — and still am — a huge fan of a television drama that was aimed at teenagers. 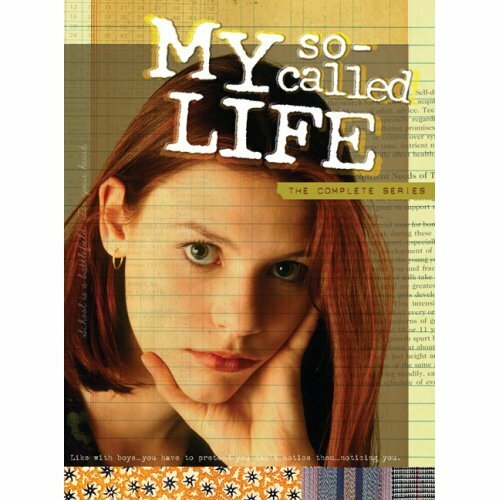 My So-Called Life was not your average teen series. It wasn’t even average TV fiction. In my opinion, and I’m not alone, it was the best fiction ever made for American TV. Perhaps you missed it when it debuted on a Thursday night in August 1994; a week or two later, in the same time slot, was the premiere of a little sitcom called Friends. The latter became a phenomenon; the former was lucky to have its 19 episodes all broadcast, rather sporadically, during that TV season. I took part in the discussion board that popped up around the show (maybe it was on AOL, or ABC, the network that broadcast it) and although many of the other participants were in their teens or twenties, the conversations on that board were frequently transcendent. Oh, how I wish they had been preserved. There was a very vigorous effort to save the show, but ABC lost faith in it, and Claire Danes was exhausted (watch the series and you’ll see why) and wanted to do film (she did pick up an Emmy and a Golden Globe for her work in the show). Those original boards may be gone, but a fan web site still exists and is still active; in fact it just was given a complete remodel, so while it is a museum to a past event, it’s a dust-free one. I recorded (on VHS) many of the episodes as they aired (or when MTV showed them the following summer) and wore those tapes out. Then a couple of box sets of six episodes came out and I bought them, but the production of that VHS series was not completed. In 2000 or so, a DVD set with all 19 episodes came out, with a very limited number of copies pressed. Since I was on the fan email list, I got the opportunity to pre-order, but the cost was $100 and I didn’t have any money at the time and missed the opportunity. I’ve been looking for a copy of that set for years, but from what I heard, if it was offered, the cost could run about $300 or so. Well, my wish has come true and the series is finally being reissued in a proper DVD commemorative edition, with interviews with the writers, cast and crew, a book, the whole works. I am ecstatic, to say the least. This is the best news in “my so-called life” in a long time. I ordered it today (for only $48 — yay! ), and will be waiting on pins and needles until it arrives. I feel like Angela, Rayanne, Ricky, Jordan and the rest are family or close friends that I haven’t been able to visit with in much too long. I know it sounds crazy to say about a tv show, but this tv show was Art. So think about a great book that stays with you, and remains relevant to your life. If you are the least bit interested in art (whether tv, writing, acting), or or just the human condition, then you need to check out My-So-Called Life. There’s no excuse now. It’s on Amazon and all the other places, including (soon) the Netflix waiting list.